Dina Mallya began her career at Shepherd Center as an intern at Side by Side Clubhouse while she was finishing her master’s degree in rehabilitation counseling at Georgia State University in 2010. 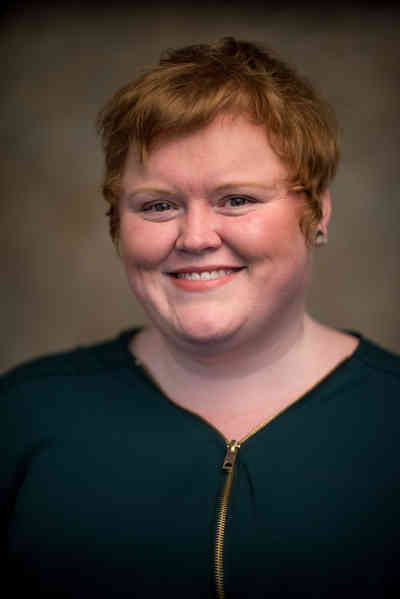 In 2011, she transitioned to being a case manager at Shepherd Center, and in late 2011, began working in admissions. Her current role is a hybrid of a post-acute admissions liaison for the Spinal Cord Injury Outpatient Department and data supervisor for the Admissions Department, performing audits and creating reports. Before joining Shepherd Center, Dina taught English as a second language in Guangzhou, China and in Atlanta, Georgia, and attended graduate school. Dina earned a bachelor’s degree in international affairs and modern language (Spanish) at the Georgia Institute of Technology and a master’s degree in rehabilitation counseling from Georgia State University. She is a Certified Case Manager. In her free time, Dina enjoys spending time with her family and friends, making or repurposing things in her wood shop, traveling and playing guitar.